Villa 15a is another new villa to Kejora Villas-Suites. 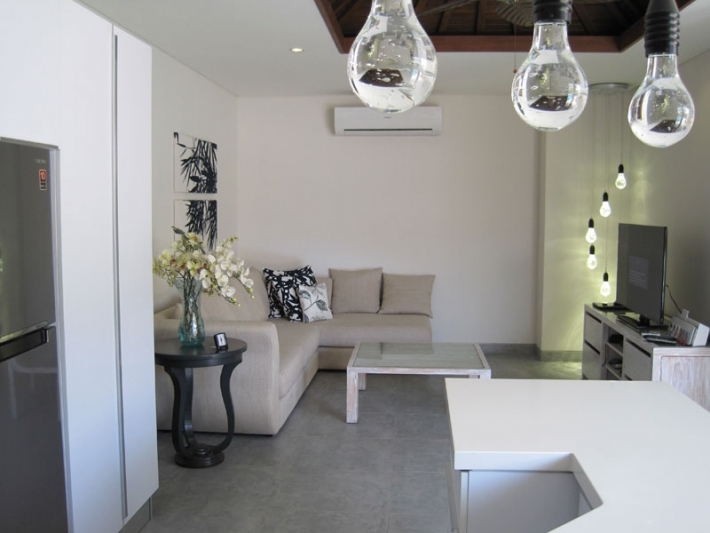 This 2 bedroom villa is situated just behind the front villa and offers an opportunity for smaller groups to enjoy Kejora Villas-Suites at an affordable price. 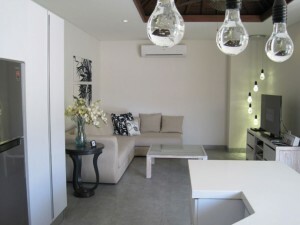 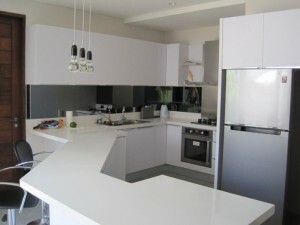 The villa is approximately 30m to the beachfront where you have a private access to Sanur Beach. 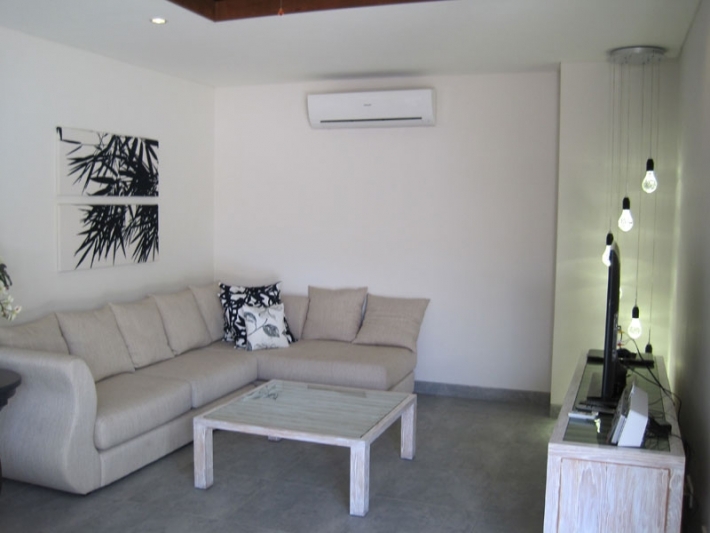 Villa 15A includes an iPod dock, very comfortable king size beds, state of the art sofas and furniture as well as good quality outdoor entertaining equipment and furniture. 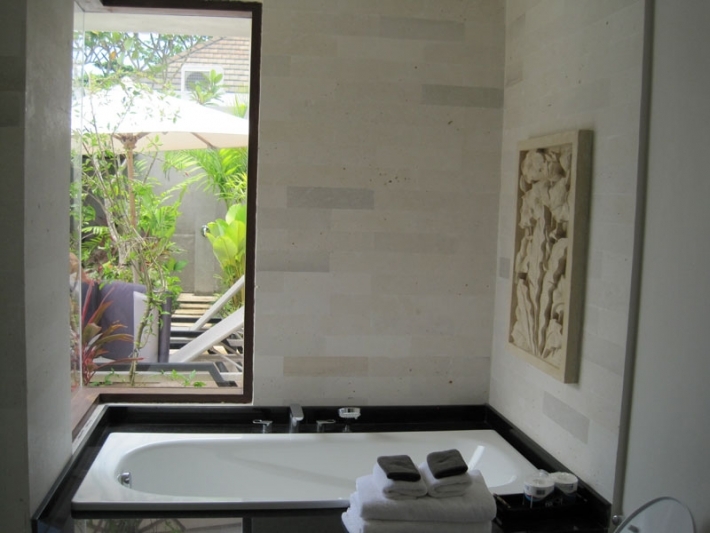 A private pool completes the ambience of the tropical outdoors surrounded by lush gardens and an outdoor shower with hot and cold water. 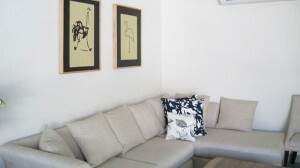 This villa has been designed and furnished with the discerning traveller in mind. 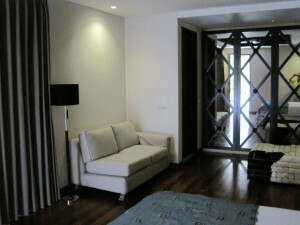 It has 2 king sized bedrooms with the master suite being the bigger of the two by about 50%. 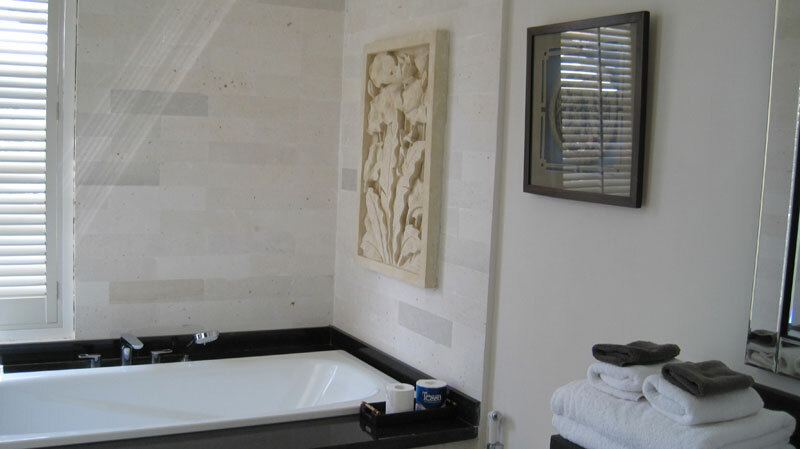 A 5 star bathroom overlooking the gardens runs off the master suite and contains a bath and a luxurious rain shower with private access to the pool. 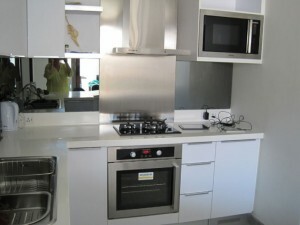 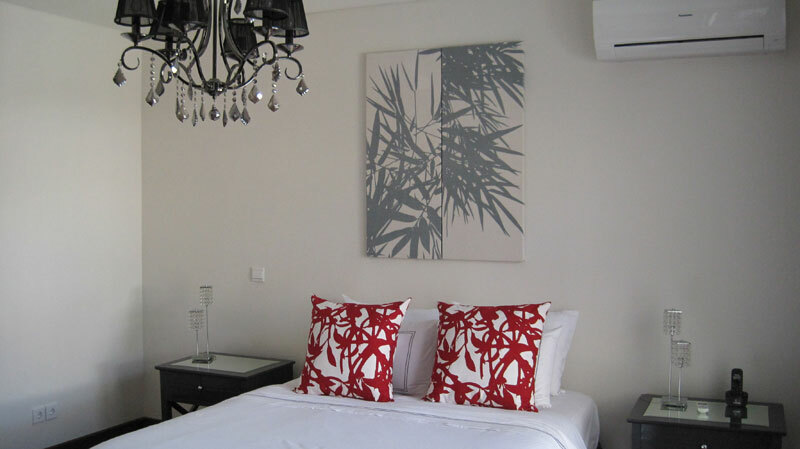 Quality linen and towels have been especially designed and provided in the villa. 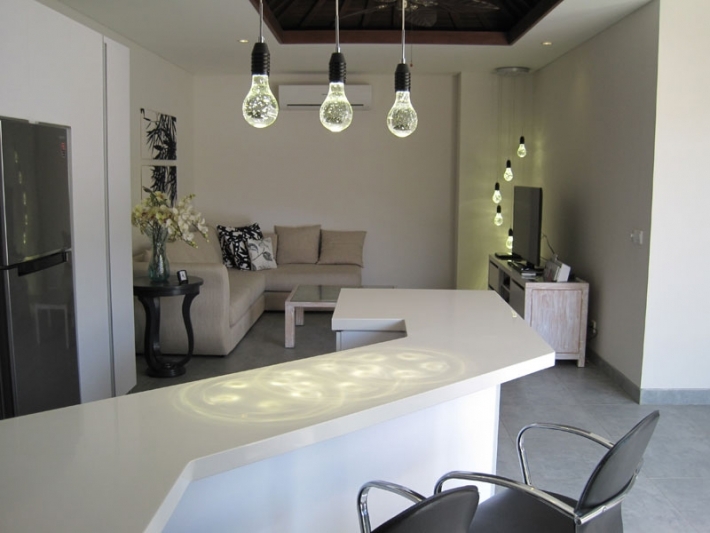 The designer kitchen, complete with an espresso machine, will provide adequate room for indoor entertaining with a designer lounge area featuring contemporary crystal lighting. 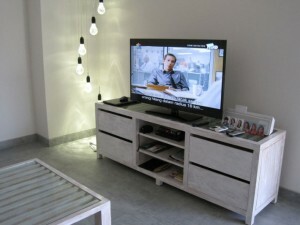 A 42″ Plasma TV provides easy TV viewing. 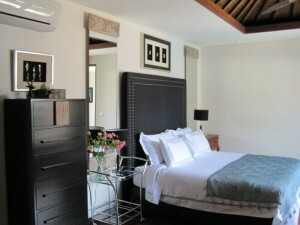 The master suite contains a queen size bed in front of an amazing array of Balinese mirror and pure wool bedhead. 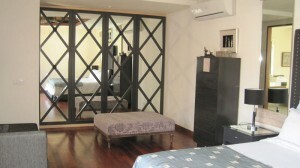 There are a multitude of cupboards to store your clothes and a safe in the main bedroom. An additional day bed is in the master suite for reading or just relaxing. 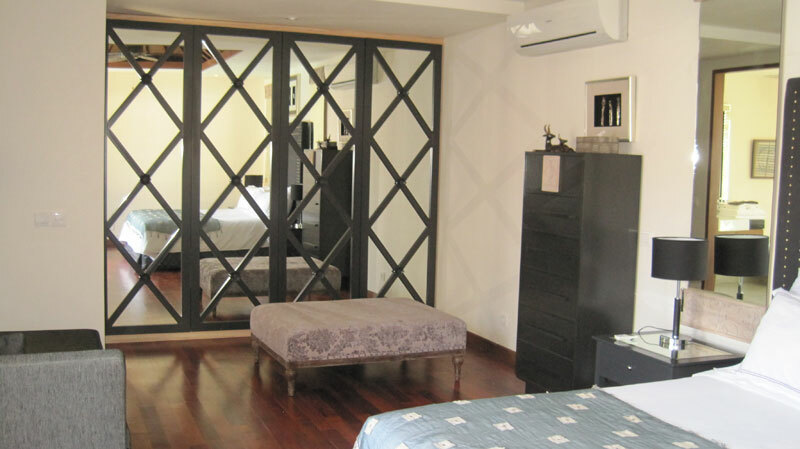 Timber flooring in the bedrooms provide a cool, quiet surface to enjoy barefoot. Outside you can spend time at the washed wooden tables and chairs complete with umbrella. 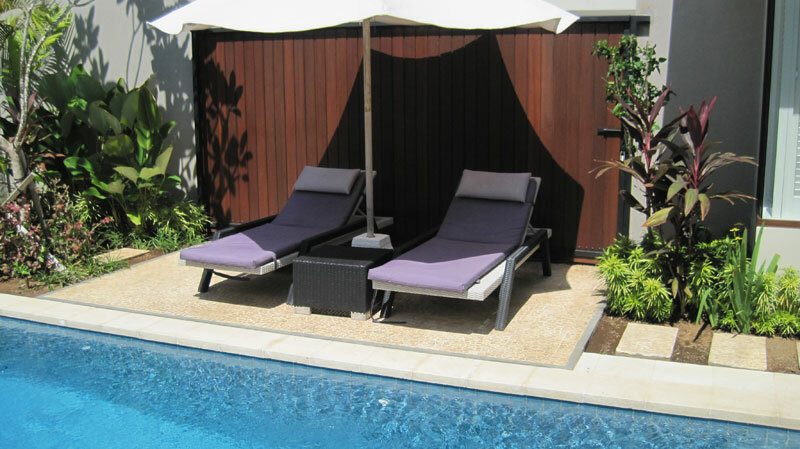 Two pool loungers with table and umbrella for sunbaking and an additional Balinese Bale with quality cushions provide the perfect space for a cocktail or two…then an afternoon siesta! An added extra to this villa also is the design of the Balinese wooden gate separating this villa from Villa 15B which slides across, giving you access to another 2 bed villa should you have 2 families to accommodate. 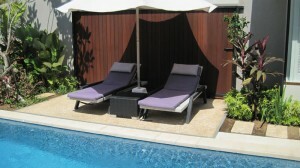 You will have 2 pools and 4 bedrooms if this option is taken as a whole. 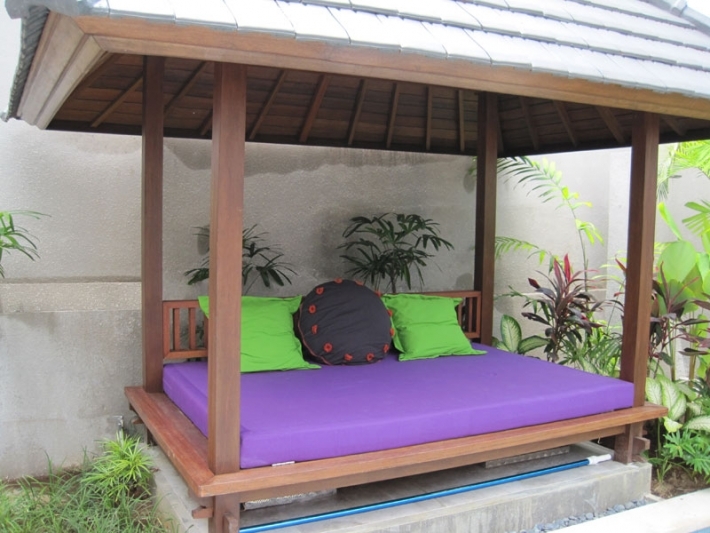 Kejora Villas-Suites also offer 24/7 security at the main entrance and beach entrance.